The following is based on a talk given for the Christian Legal Fellowship about the connections between strong families and social justice. Jane was very unhappy in her marriage. She had two young children and it had been difficult for years. One day, I asked her how things were going. To my surprise, she reported that everything was great. Great, she explained, because she had decided they were getting a divorce. That’s when I noticed she wasn’t wearing her ring. So much flashed through my mind. It was obvious divorce was her great escape from her current woes. And yet, when there is no abuse, divorce is not a good option. That’s the heart of the matter. Where parents are not present, no amount of intervention can replace that. 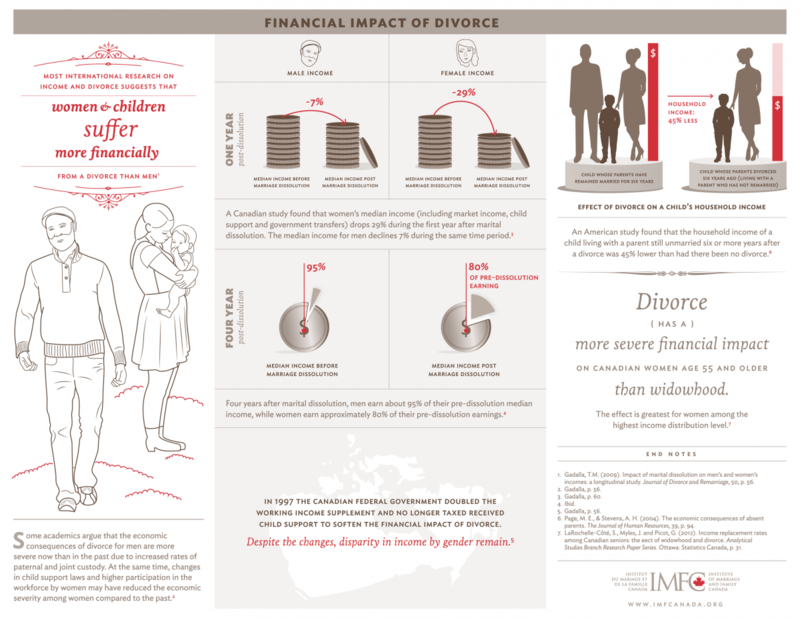 The IMFC is dedicated to studying marriage and family with an eye to defending and promoting these institutions in the public square using research and statistics. We want to chronicle whether marriage, divorce, fertility or cohabitation rates go up or down. We want to see whether marriages that start earlier or later last longer. We want to know what factors contribute to stable, long lasting marriages. But it’s not about the statistics. Human flourishing—ensuring people thrive—is why we work. When we think of social justice—we may think of eradicating human trafficking, accommodating refugees or decreasing homelessness. We think of increasing opportunity for all, regardless of name or status. Today in North America, particularly in international comparison, we are money rich but relationship poor. Poverty has a relational component. Post-sexual revolution, the very relationships that support us and infuse meaning into our existence have grown weaker. Marriage is the most stable family form and it’s on the decline, where other family forms are increasing. Instead of rightfully being concerned, we applaud diversity. In Canada, common law has increased from 6% in 1981 to 17% in 2011. Lone parent families have also increased. Only 8% of couple households with children are in poverty. But 32% of single mother households live in poverty.9 That means single mother households are four times more likely to be poor than a couple household. We focus on the one aspect—family breakdown—at the IMFC. When my friend told me of her pending divorce, I kicked into high gear. I brought her lattes and literature. Lattes because they are tasty. Literature because I knew what she was seeing: People get divorced all the time and it doesn’t matter if I do. It just so happens in this case that Jane stayed with her marriage. Yet if I had not known what was at (possible) stake for her, I wouldn’t have reacted the way I did. We often hear that aspects of family life are mundane. To us, this is never true. It’s nothing more than a minor miracle when families function. We can’t take this for granted, neither can or should we look the other way when our friends and family hit a rough patch in their marriage. It’s not that we must save every marriage, at all costs. It’s that the usual response of “you gotta do what you gotta do” doesn’t begin to reflect the personal and public devastation of family breakdown. For all of us, it’s “when” not “if” for relationship trouble. We should all strive to help those we know in low-conflict marriages make it better, not get out. This is first and foremost for the people involved, but after that, it doesn’t hurt to know one is increasing the odds of justice being served in this world. Marquardt, E. (2006). Between Two Worlds: The Inner Lives of Children of Divorce. New York: Three Rivers Press.